The Samoan Solidarity International Group (S.S.I.G.) is planning a peaceful protest in Savaii on April 7, 2018. This was confirmed by Unasa Iuni Sapolu, a member of the S.S.I.G, in response to questions from the Weekend Observer. Unasa said their group had already submitted a request to the Ministry of Police for a license to peacefully march in Savai’i. The peaceful march in Savai’i aims to raise awareness and to inform the public of the threats on Samoa’s customary lands via the L.T.R.A. 2008. “A law that makes titles other than customary land titles paramount is bad law and should be repealed. S.S.I.G. is about peacefully raising awareness demonstrating the belief that our customary land is not safe. “Our fanua fa’aleaganuu or fa’asamoa is under gloved attack by monies interest,” said Unasa. Police Superintendent, Auapa’au Logoitino Filipo confirmed with the Weekend Observer the Police have received the request for a permit. Asked as to what is the process and how long will it take before the Police will make a determination, Auapa’au declined to comment. The march’s leaders hailed it a success. 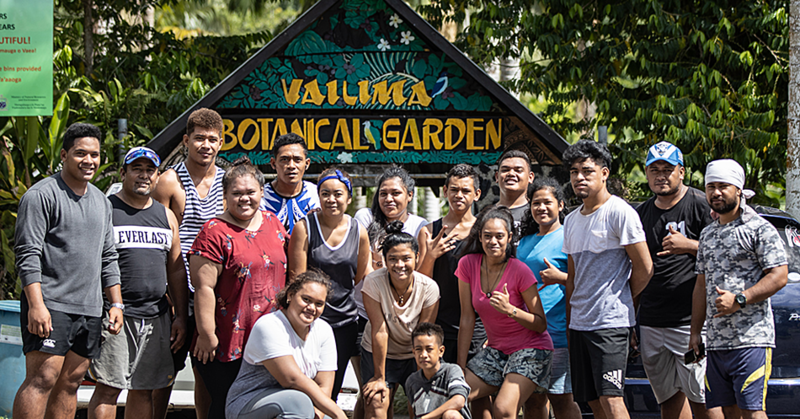 The protest from Vaisigano to the Mulinu’u gravesite of the late Malietoa Tanumafili II was to raise awareness ensuring customary lands were protected under existing laws. The heart of Apia was echoed with the voice of Unasa calling out that the current laws on customary land have claws of monetary interest. Attending the march were men and women and chiefs from the rural areas. They were escorted by the Police officers. Fiu Mata'ese Elisara, matai of Sili Savaii, and Executive Director of Ole Siosiomaga Society Incorporated, fully supports the march. “The right information that envelops holistic and full awareness is always invaluable. “I personally supported the protest and peaceful S.S.I.G. organised marches in December last year around the world, but was unable to join the Samoa activity because I was away to attend to the funeral arrangements of my dear 90-year-old mother in Pago Pago who was put to rest and buried the same day the march took place. Fiu said it is unfortunate that many take these actions as dissenting voices to government when these are people taking their rights to voice concerns on proposed and ongoing activities of government. But as long as these stake-holders and rights-holders voices are prudently structured, visionary constructive, socially balanced, and politically neutral, they can only be invaluable as part of our collective responsibilities to contribute to the much needed transformational changes arguably the Government need. “I have written before to sound out government on their leadership responsibility to ensure they not only promote the benefits of development initiatives, but more importantly the risks which for me is the more relevant and pivotal information for the people of this country to better align because they are the ones who will inevitably shoulder the burden of the impacts of developments and national policies emanating from government. “These calls have unfortunately been ignored, but their inaction should not be a reason for us to stop holding our government to account. “It is imperative! It is a call for all of us to try and help government integrate some balance to their hell bent focus on sustained economic growth at the peril of a balanced treatment and respect for the other pillars of sustainable development - social equity, ecological integrity, and cultural diversity. “Personally, I hope that this is an added effort to go beyond the L.T.R.A. and inform the people of Savaii, indeed Samoa, why the collective wisdom of our forefathers who authored of the Samoa Supreme Law under Article 109 of the Constitution requirement for a referendum is now even more non-negotiable! “We assert that the right and only forum to decide on customary lands issue is as our forefathers and framers of the Constitution dictated under Article 109 through the imperative of a referendum. “Let the people decide. 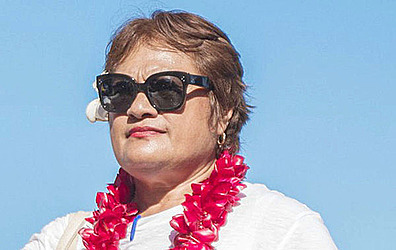 This independently conducted referendum process without political influence, with clearly articulated questions, associated international integrity checks, secured principles of accountability, and to ensure free prior and informed consent of all Samoans, is the only way this discourse can be and should be addressed."